When you’re designing a kitchen, there are a lot of big things you’ll need to consider. We’re talking, of course, about everything from your cabinets and their style to your kitchen appliances. 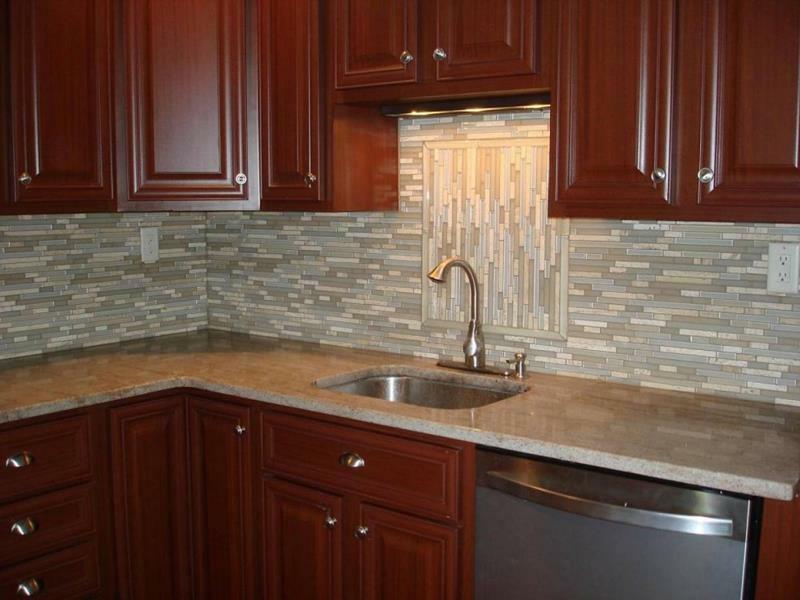 But, there are smaller things you’ll need to think about, chief among them your backsplash. 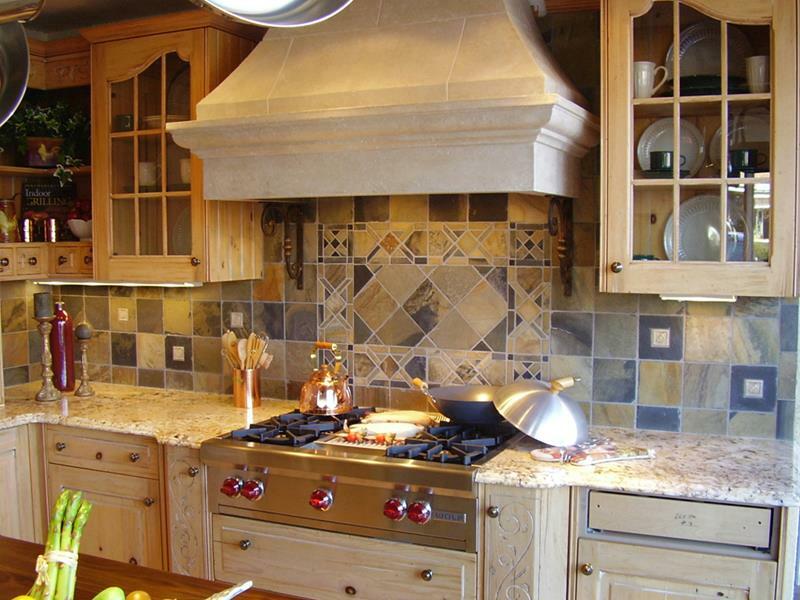 Now, why is a backsplash so important? Well it serves an important utilitarian function – it keeps you from damaging your walls with spills! But, there’s another way in which a backsplash is incredibly important to your kitchen’s design – it really goes a long way toward establishing the space’s look. With different materials, colors and arrangements, you can make or break the overall design of your kitchen with your backsplash. That’s why we’ve collected these 25 awesome kitchen backsplash design ideas. As you’ll see, there are a number of different things you can do, each of which might work with the design scheme you’re considering for your own kitchen. 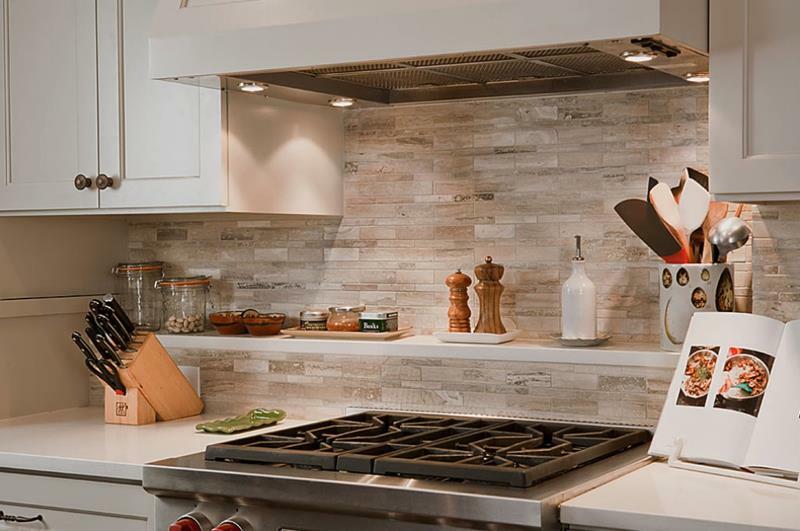 While the backsplash might not be the most glamorous part of your dream kitchen, it’s every bit as important as everything else you’ve selected and obsessed over. 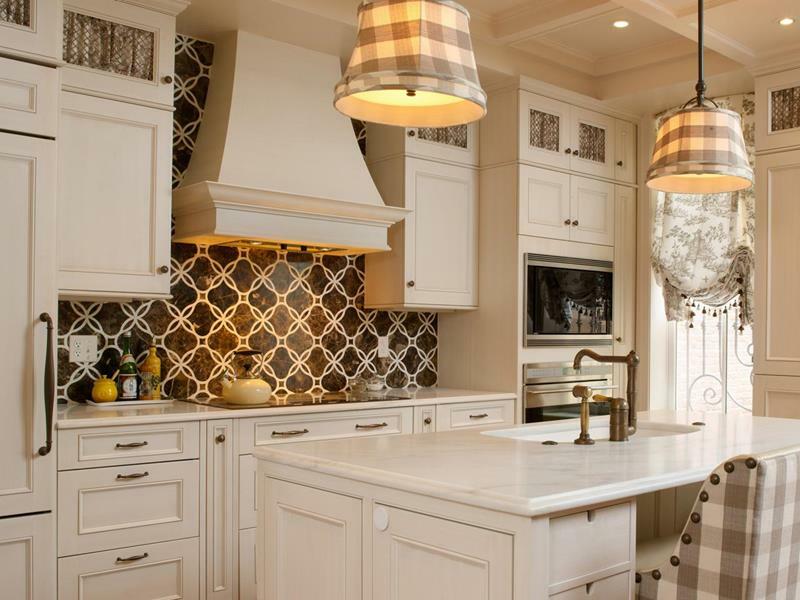 So come check out these design ideas, and make the right backsplash choice for your kitchen. Trust us when we say that you’ll be glad that you did. To accent the location of the sink, the long lines of the backsplash behind the sink have been arrange vertically and not horizontally. Creating an elevated shelf with your backsplash, like you see here, can increase the functionality of your counter space. 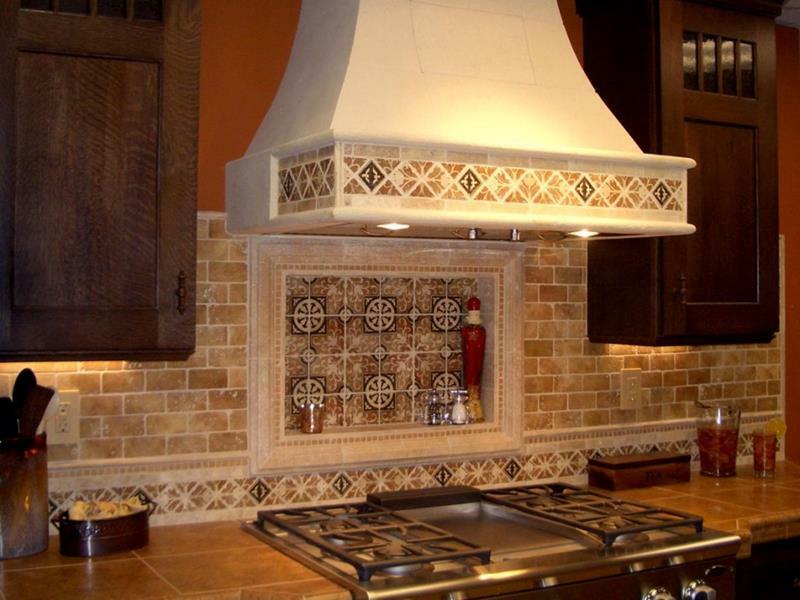 If you’re going for a country or a rustic vibe, then you’ll want to get ornate with your backsplash. A white or off-white kitchen can be aggressively bright. You can use cooler tones in your backsplash to cool things down.